There are few reports about the influence of Helicobacter pylori infection and/or atrophic gastritis on bone conditions in Japan. To assess whether the combination of serologically determined Helicobacter pylori infection and atrophic gastritis is available as a biomarker for bone conditions. We studied 230 men in their 50s and 60s. Helicobacter pylori infection was determined using serum antibody to this bacterium. Atrophic gastritis was diagnosed on the basis of the serum pepsinogen I and II criteria. The characteristics of the participants’ bone were measured at the radius using an ultrasonic bone densitometry system. The risks of low trabecular bone density, low elastic modulus of trabecular bone, and low cortical thickness among subjects who were positive for Helicobacter pylori infection and/or atrophic gastritis relative to those who were not were calculated. Helicobacter pylori infection significantly increased the risk of low trabecular bone density (odds ratio 1.83, 95 % confidence interval 1.04–3.21, P = 0.03). Atrophic gastritis significantly increased the risk of low trabecular bone density (2.22, 1.17–4.22, 0.01). 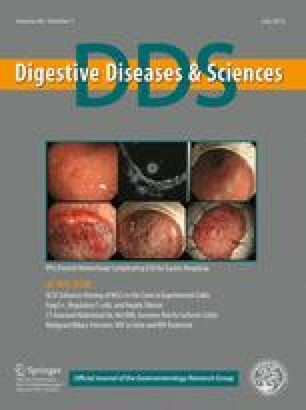 Compared with anti-Helicobacter pylori antibody (−) and atrophic gastritis (−) subjects, anti-Helicobacter pylori antibody (+) and atrophic gastritis (+) subjects were a significant high-risk group for low trabecular bone density (2.65, 1.27–5.55, 0.01). A serological diagnosis of Helicobacter pylori infection and atrophic gastritis, which is utilized for risk assessment of gastric cancer, was suggested to be useful for risk assessment of osteoporosis. This study was supported in part by Grant-in-Aid for Scientific Research on Priority Areas of Cancer (No. 17015018), Grant-in-Aid for Scientific Research on Innovative Areas (No. 221S0001), and Grant-in-Aid for Scientific Research (C) (No. 25460233) from the Ministry of Education, Culture, Sports, Science and Technology of Japan.